The New Mexico pagan community held its first Beltane gathering in “Witches’ Beltane Meadow” in the Sandia Mountains in 1980. This May will be the thirty-ninth consecutive year of this celebration. Beltane Southwest is a non-profit, tax-exempt organization dedicated to ensuring that this joyous tradition continues. 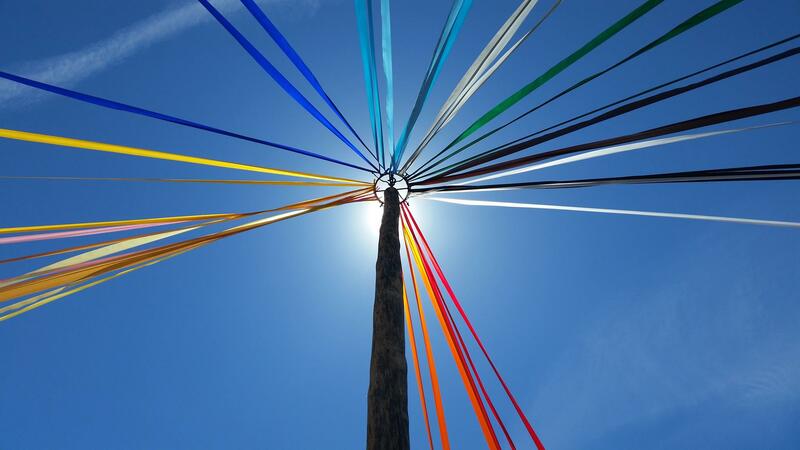 Beltane Southwest 2019 will be held May 2-5, 2019. As a community we are fortunate to be supported by Silver Moon Health Services, a group of dedicated and trained volunteers who provide first-aid services for the event. Both Beltane Southwest and Silver Moon have all-volunteer staffs. If you are interested in becoming involved, please seek out the coordinators via the Gate.